Krassimir Balakov played an important role in Bulgaria's success creating openings for the forwards. His playmaking skills helped Stoitchkov become the star he was. 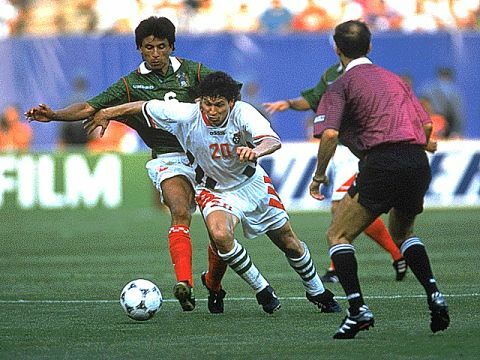 This picture is from the second round match against Mexico.